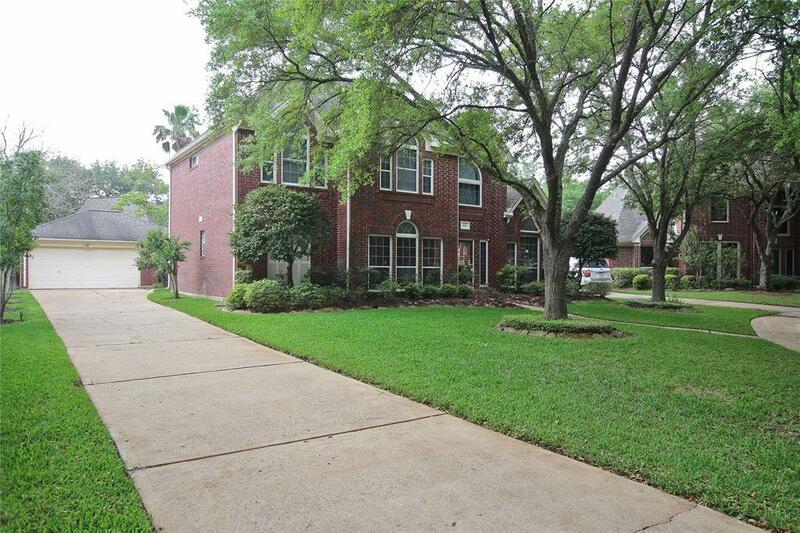 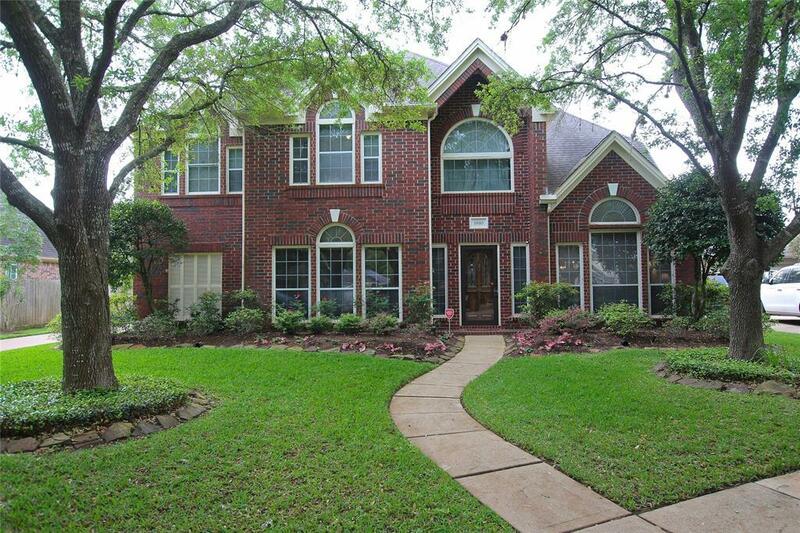 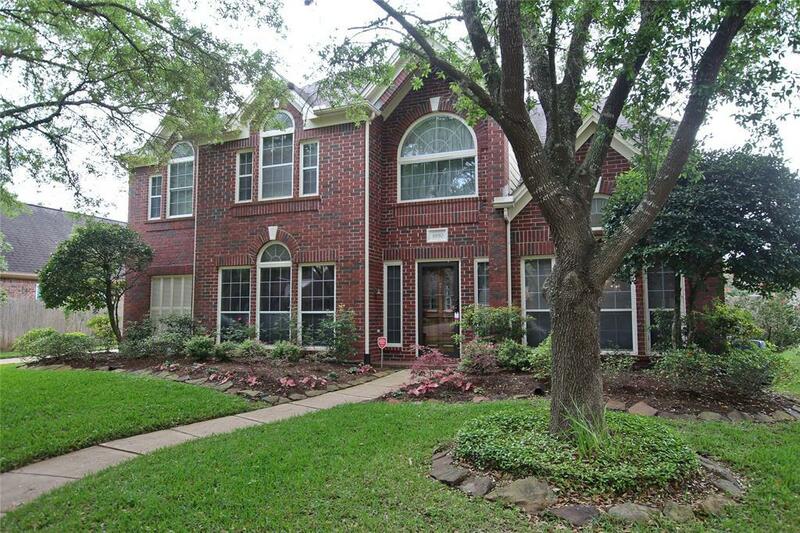 Lovely two story 4-5 Bedroom 3.5 bath nestled in a quiet cul-de-sac in Sugar Land's Master Planned community of First Colony. 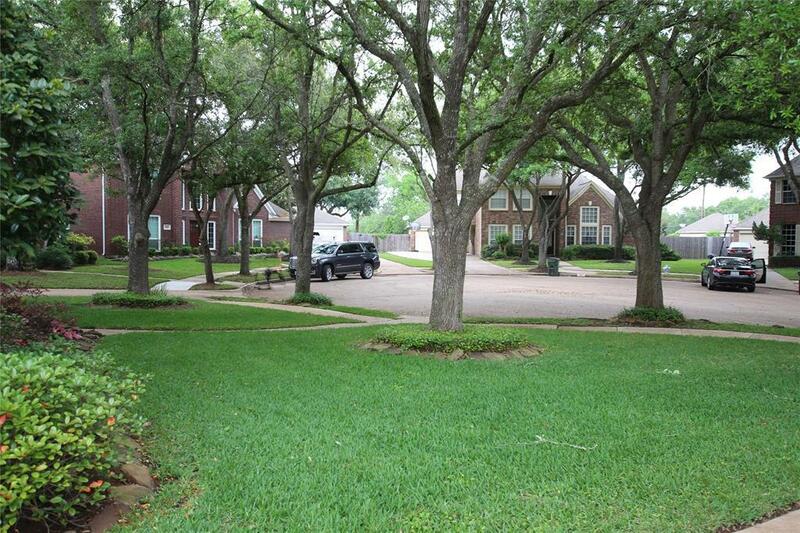 Close to schools, shopping, entertainment & wonderful Parks. 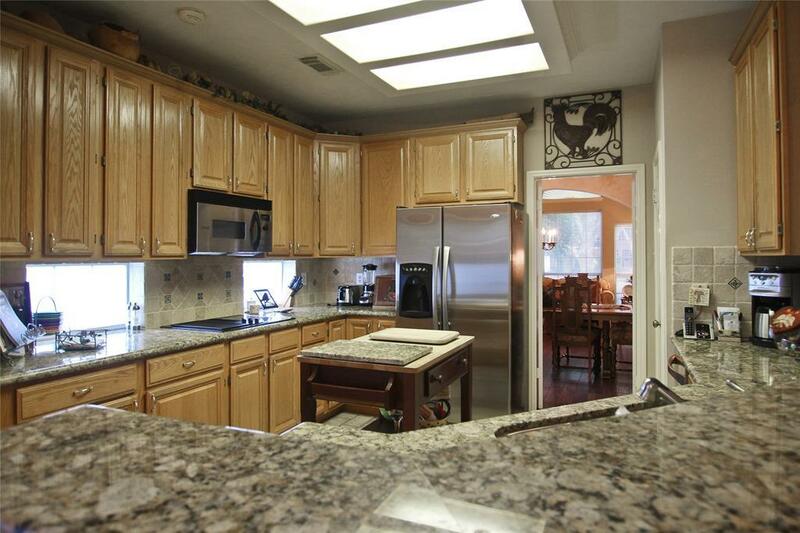 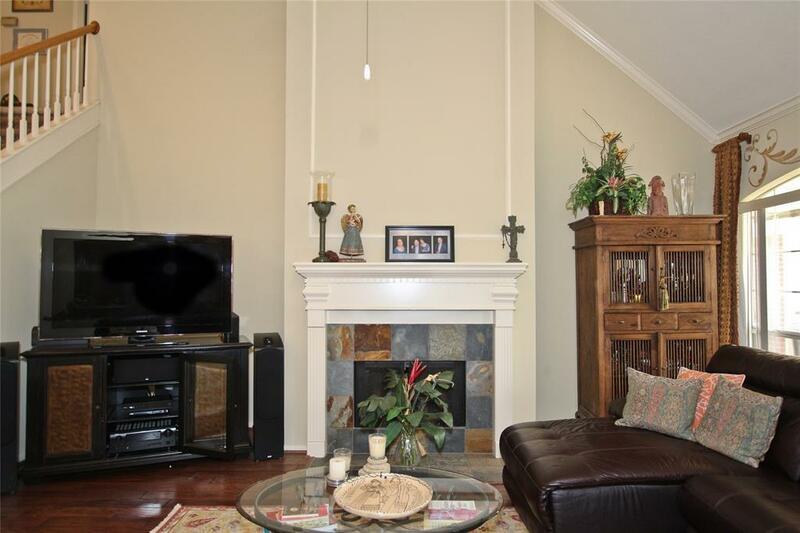 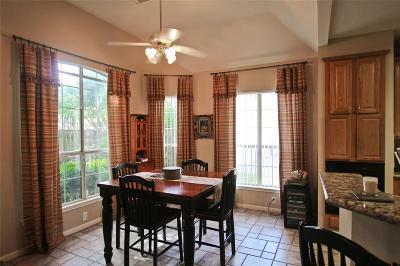 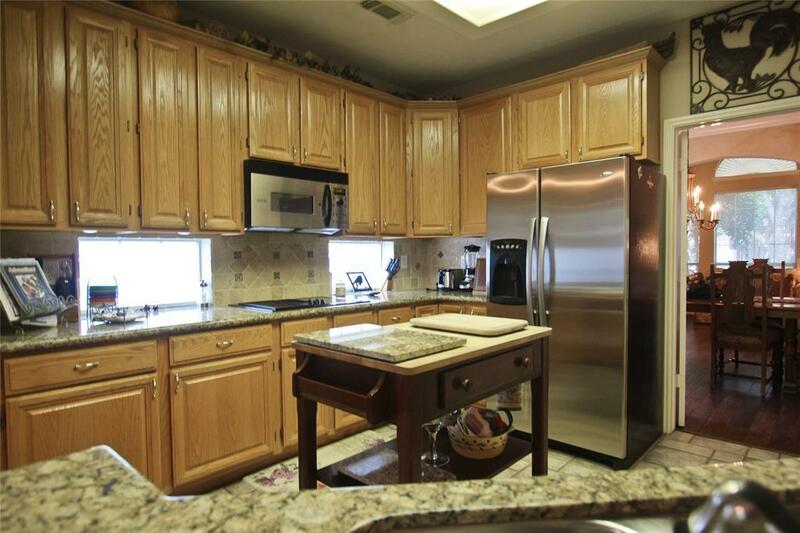 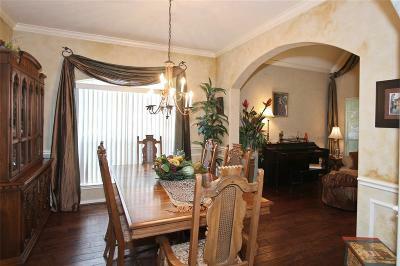 Roomy Country Kitchen & Breakfast room open to the spacious Family Room. 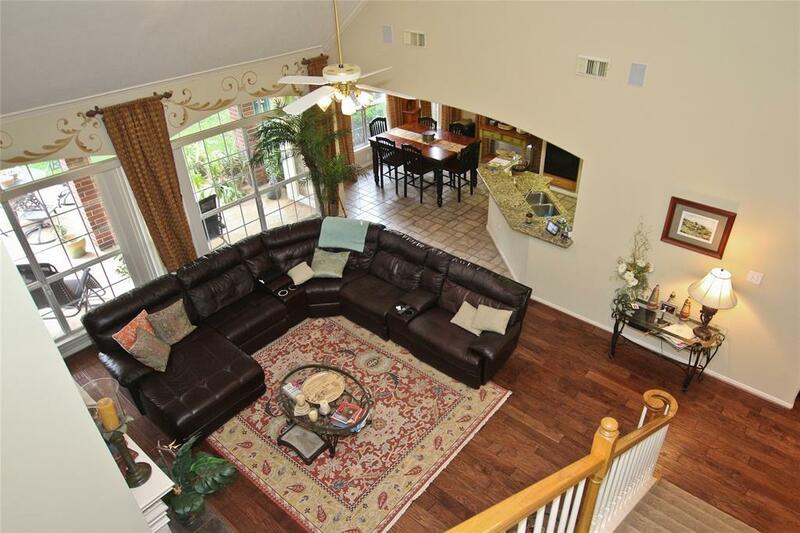 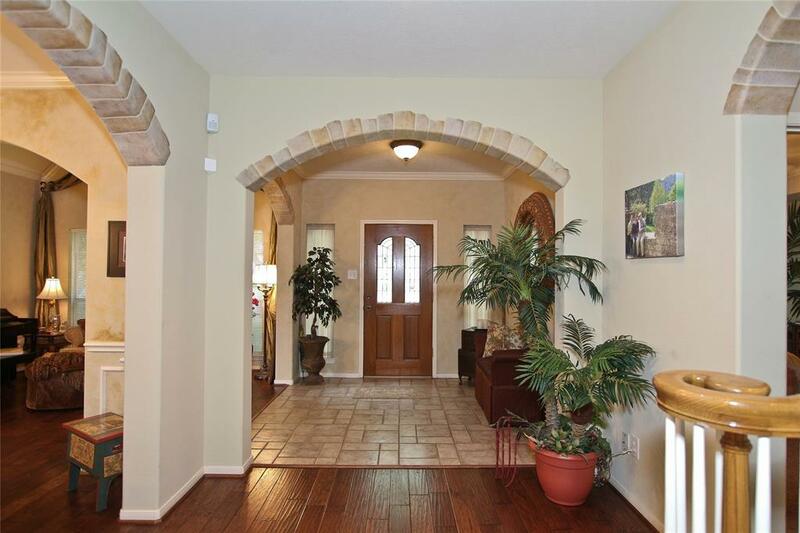 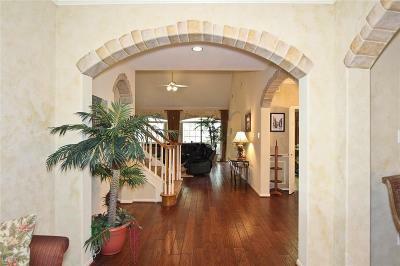 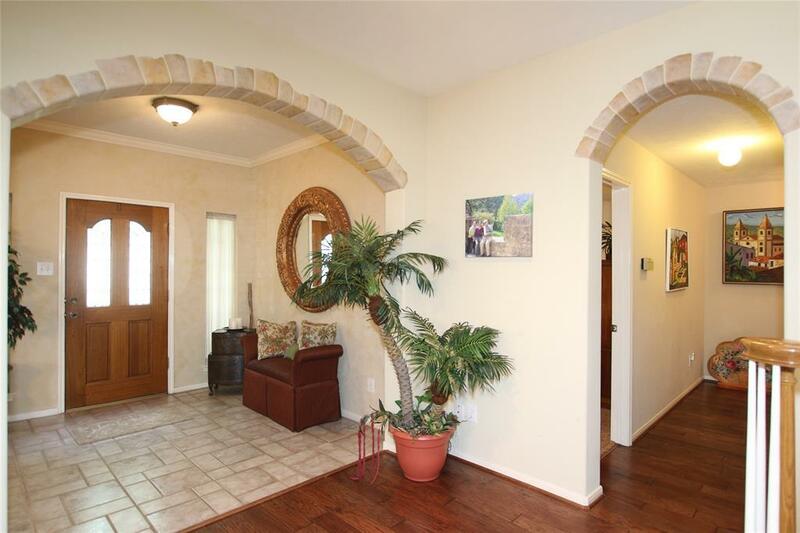 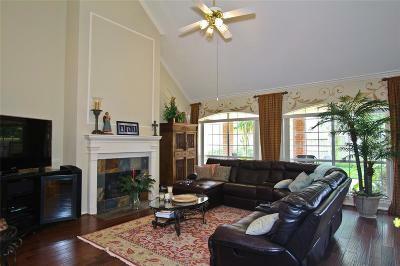 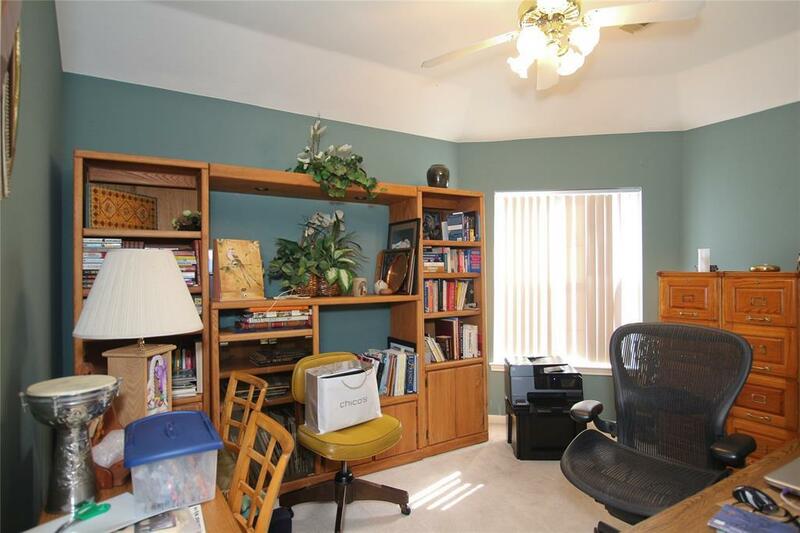 This is one of the few homes in this area with vaulted ceilings in the family room. 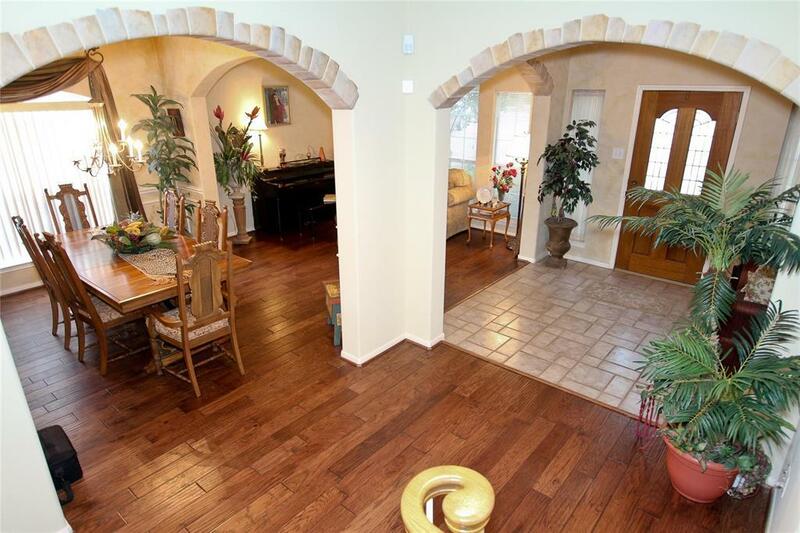 Formal Living & Dining rooms just off the Foyer, the living adorned with high ceilings & ornate arches to greet every guest. 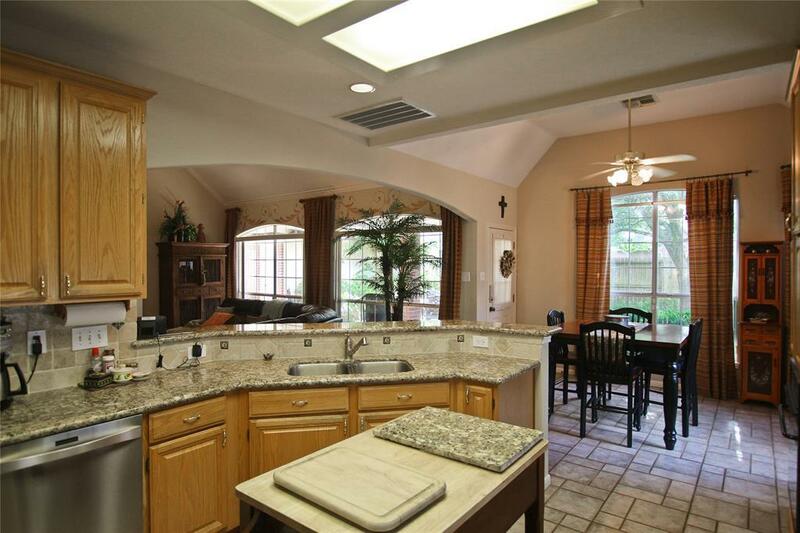 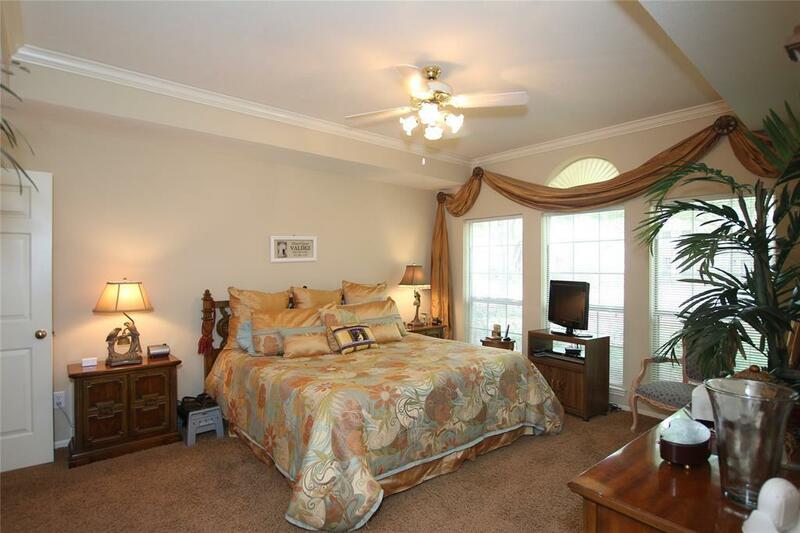 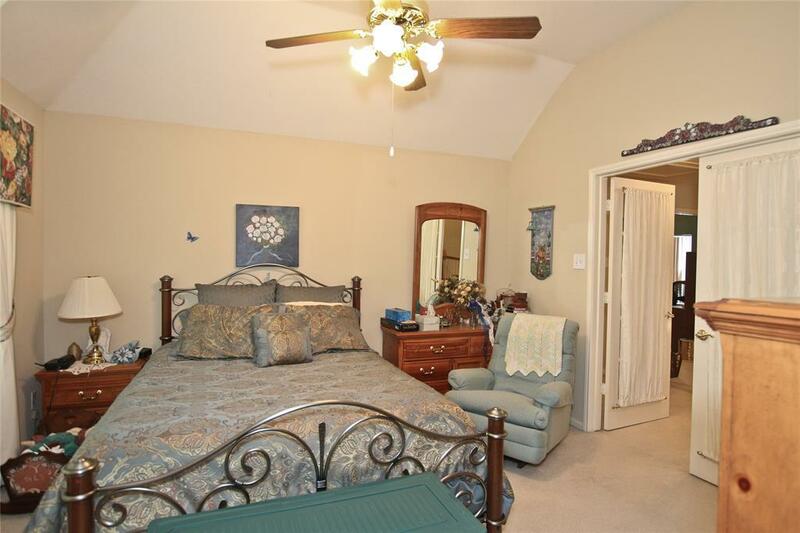 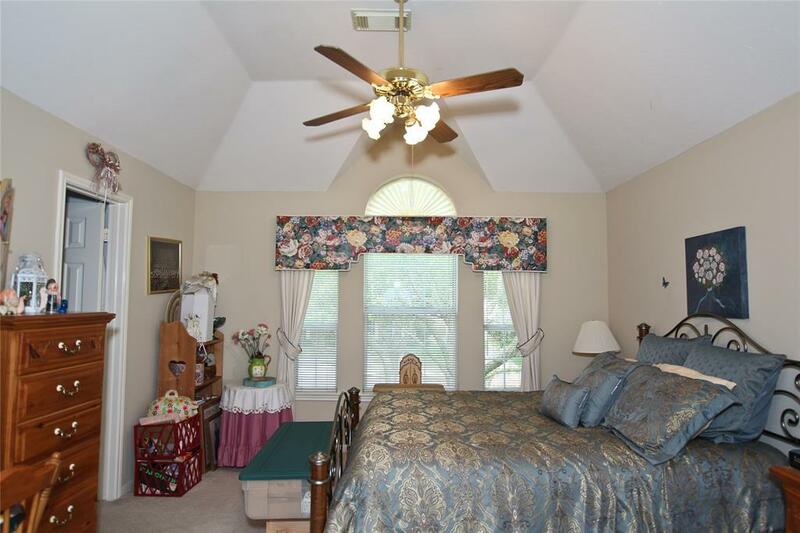 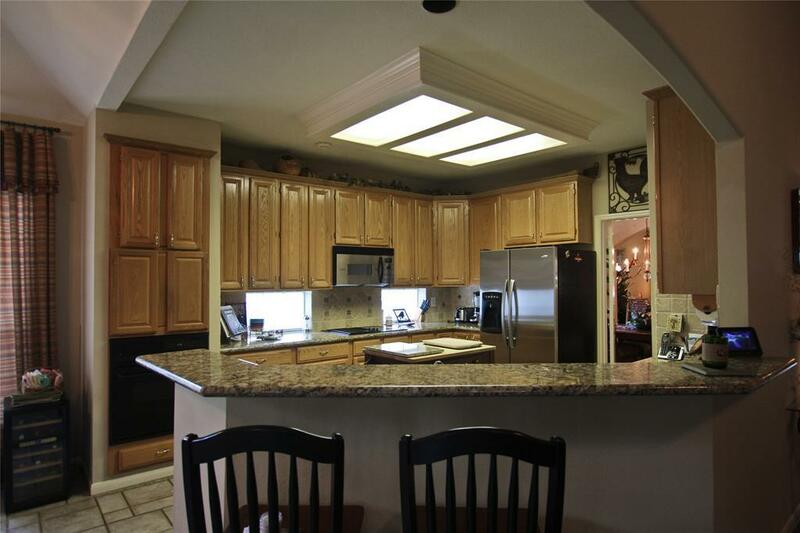 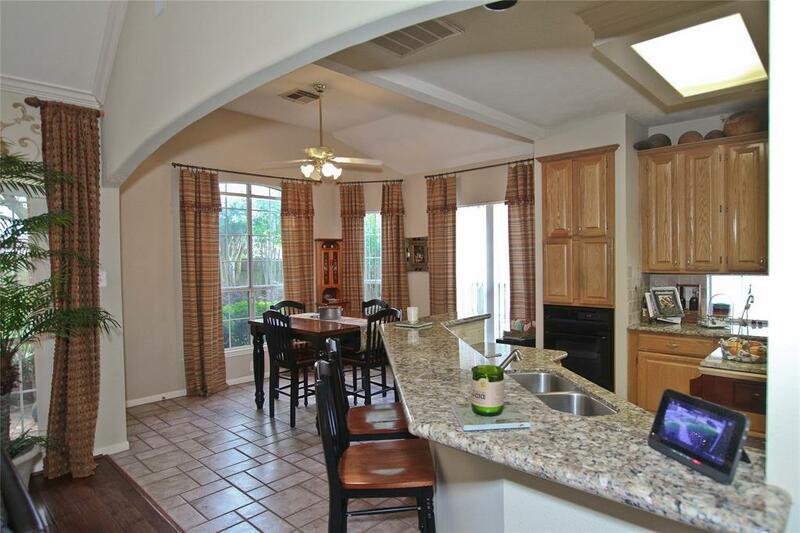 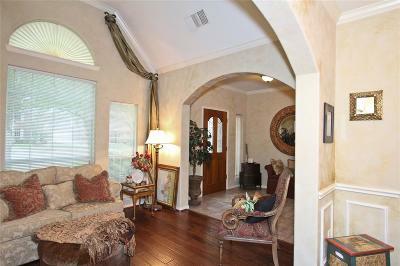 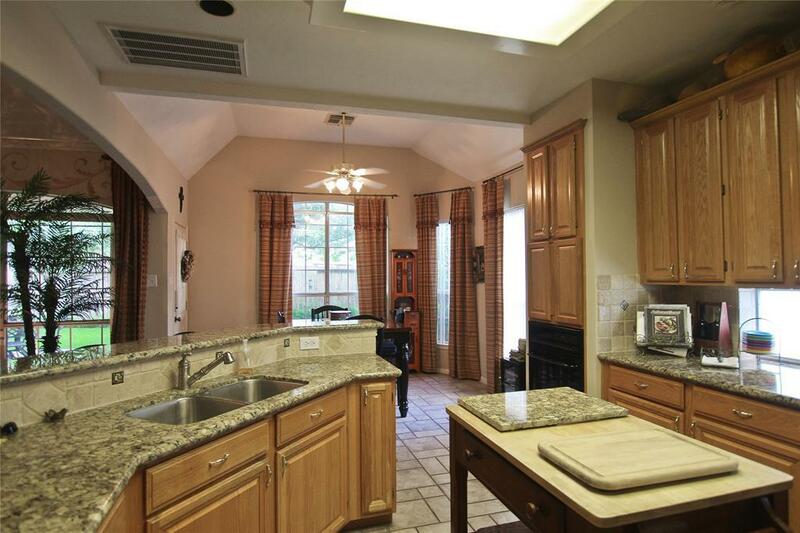 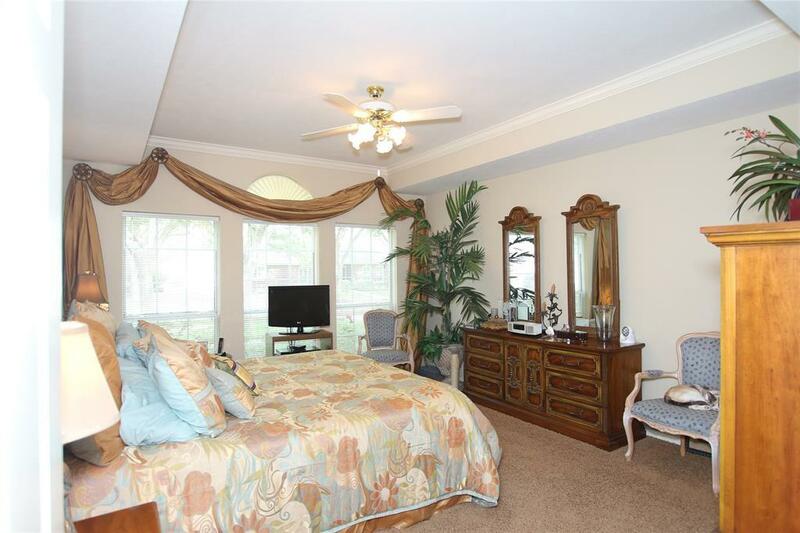 Master on the first level, Tray Ceiling, Large private Master Bath with separate shower & tub. 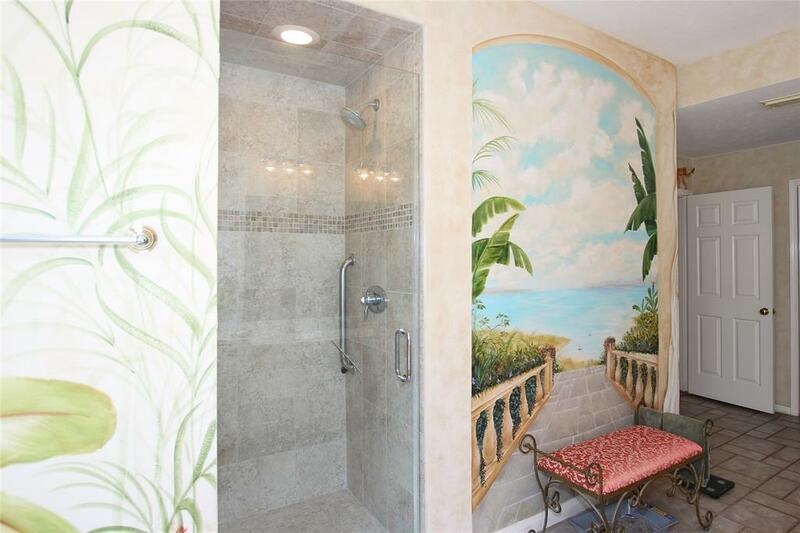 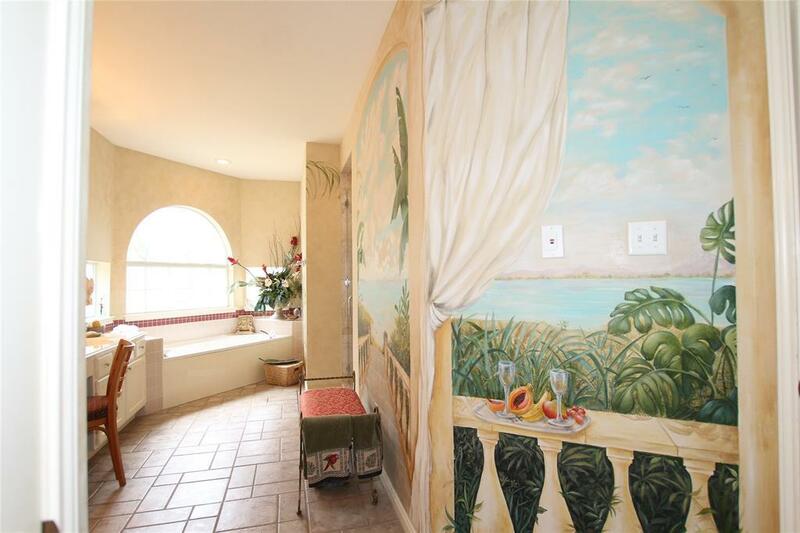 Professionally painted murals on bath walls gives a sense of being on an Island oasis. 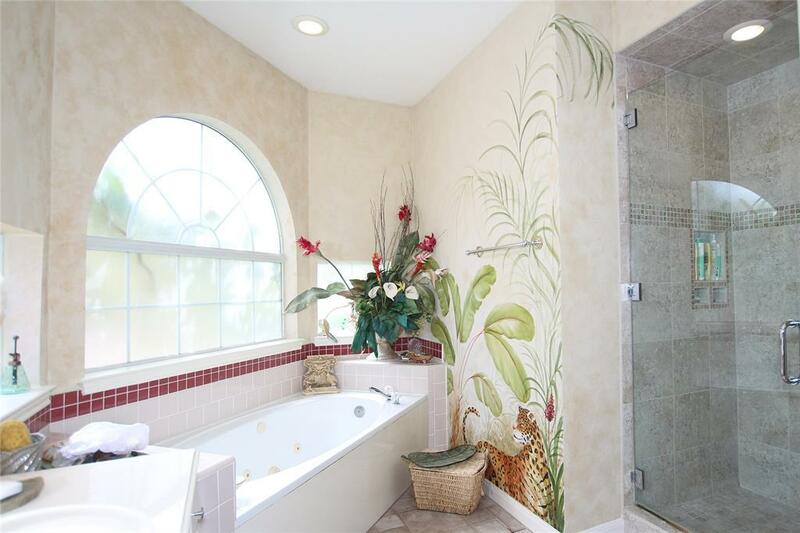 Don't miss the monkey in the corner. 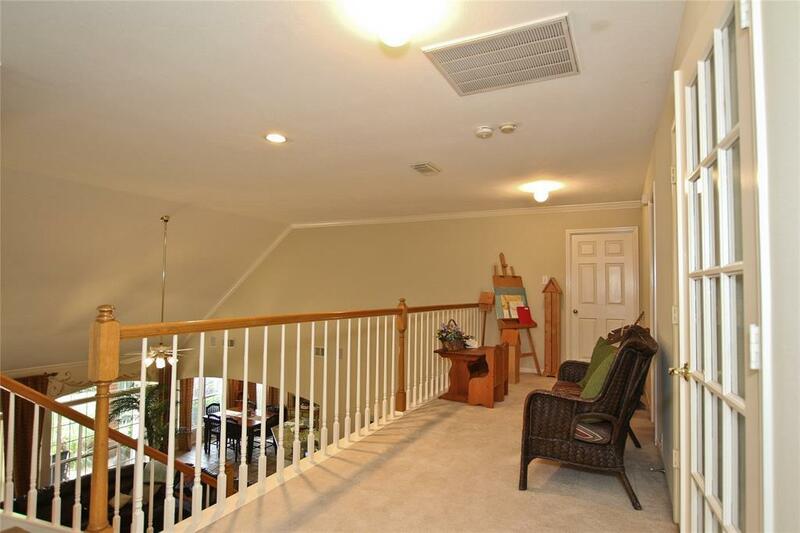 Upstairs landing bridge overlooks family room providing access to bedrooms. 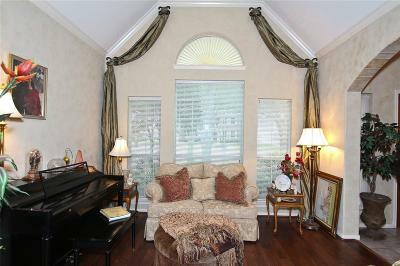 Owner installed Dble French doors in the gameroom making the 5th Bedroom, or a closed Theatre room. 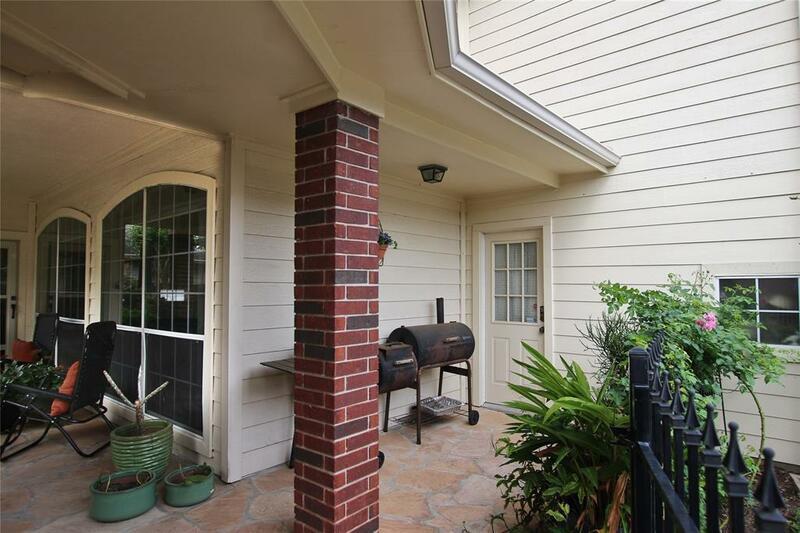 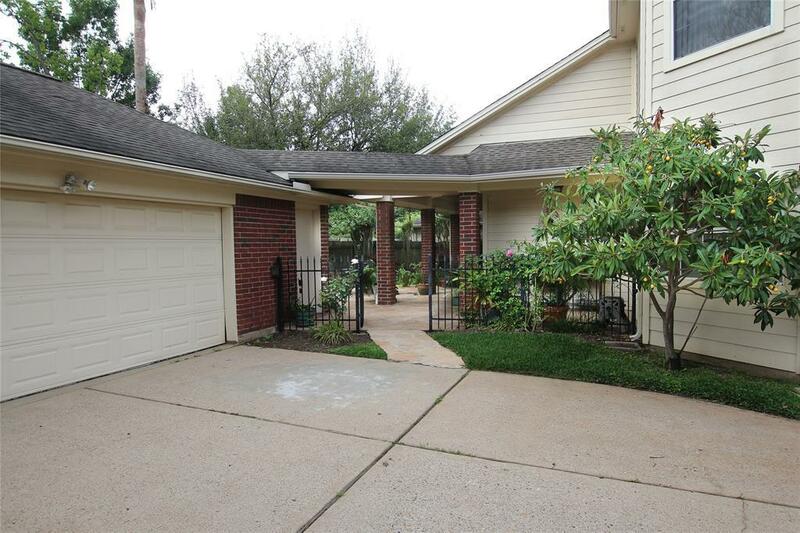 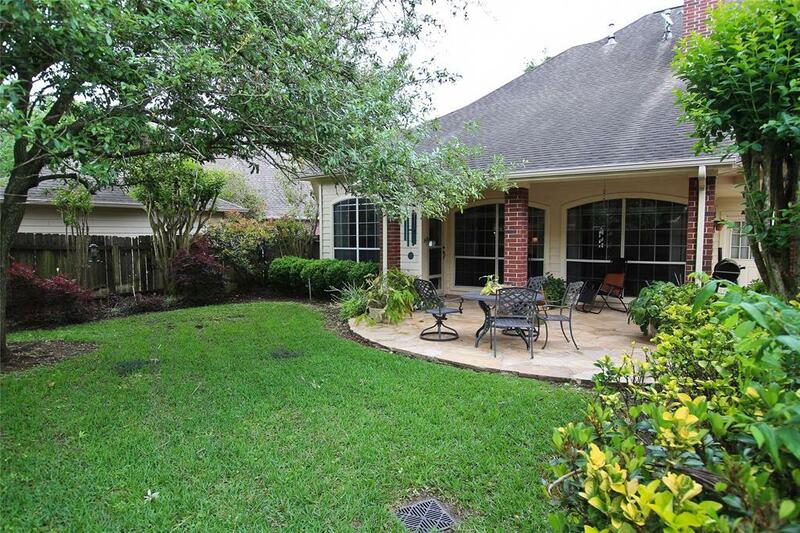 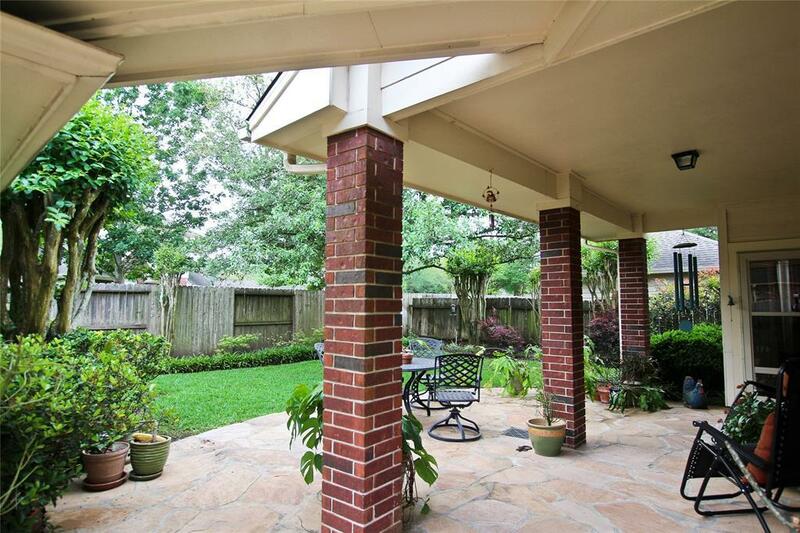 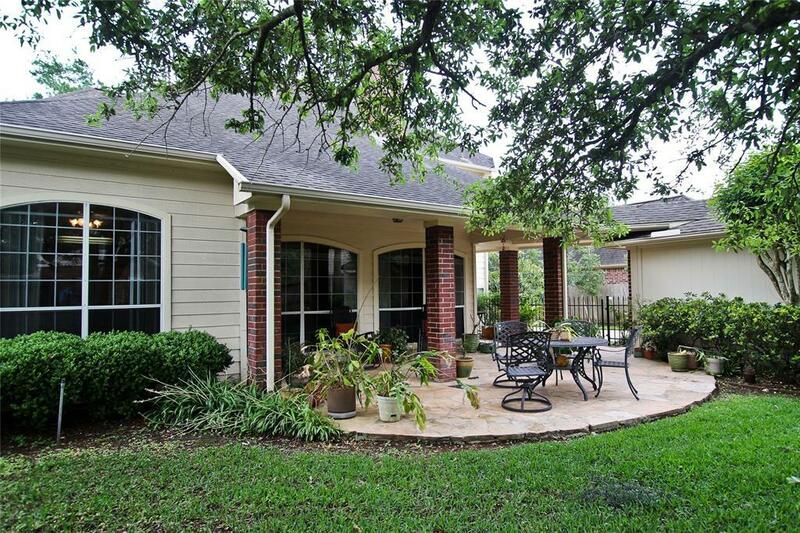 Outside the quaint back yard with covered patio, access to garage and utility rooms. 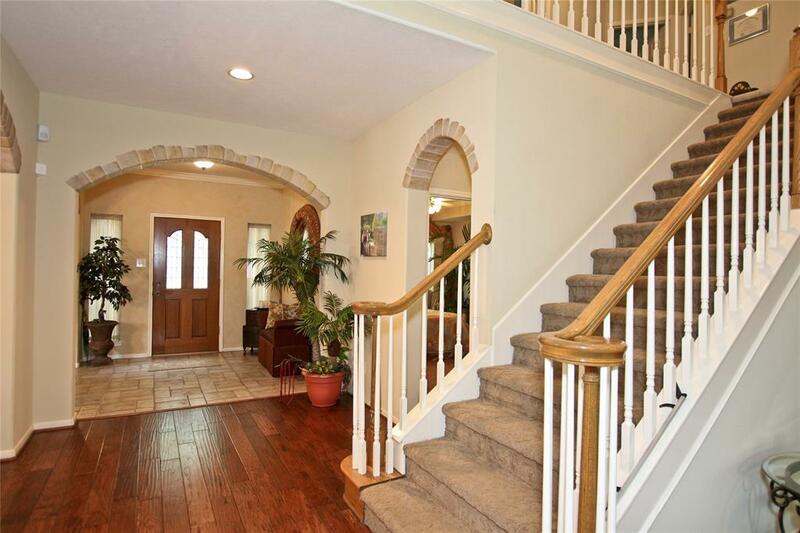 Long level driveway for outdoor games!